Parenting is a tough enough job on its own. Add to that the challenge of being accepted for what kind of a parent you are, and the whole thing can feel insurmountable. But that hasn’t stopped two dads in New Orleans from being extraordinary parents to their little girl. 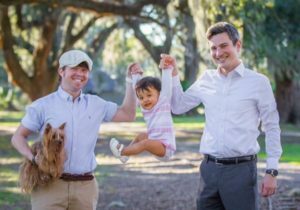 Husbands Erik and Douglas Alexander have taken to Instagram and their blog NolaPapa to help create visibility around what it means to be positive, loving gay dads. After adopting their daughter Allie Mae in 2015, they wanted an outlet to reach out to other LGBTQ families and document their own family’s journey. In the process of sharing their story, Erik and Douglas have become a beacon of hope for gay parents in the South. 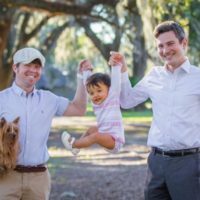 The post HOW TWO DADS ARE SHATTERING THE STIGMA AROUND GAY PARENTING IN THE SOUTH appeared first on Time For Families.